Police and crime commissioners in the West Midlands are calling on the government to adopt their “sensible solutions” to tackling crime across the prisons estate as a national strategy. 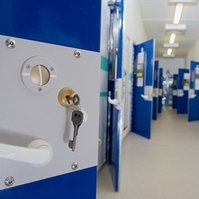 Simply sharing information better between forces and offender institutions can impact significantly, a hard-hitting six-month study by the ‘gang of four’ PCCs revealed. The multi-agency approach favoured by the quartet of commissioners has resulted in all key partners working together to tackle the systematic and deep-rooted problems and led to the development of a five-point plan to address the relevant issues. 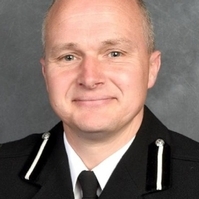 Staffordshire Commissioner Matthew Ellis has taken a lead on the work on behalf of all four, also including Warwickshire, West Mercia and West Midlands – visiting prisons throughout the region. Staffordshire itself has eight penal institutions – one of the highest number in a single county across the country. He said: “Prisons and police sharing intelligence and data is an ideal example of the simple measures that can be taken to stop organised crime in its tracks. “I am sure many people would be surprised that this does not already happen as a matter of course, but it doesn’t. The work carried out in the West Midlands has helped develop an approach, which Mr Ellis believes, could be adopted nationally to finally tackle some of the cultural and organisational flaws in the system. He added: “The problems and issues in prisons have been well-documented for years now, but what we have found from this serious study in the West Midlands is that there are some sensible solutions, which could deliver real results in a short timescale. “It became clear that no single agency can bring about effective change on their own – it needs to be done together. 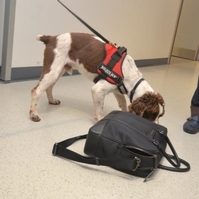 Mr Ellis commissioned Staffordshire University’s Professor James Treadwell and Dr Kate Gooch, from University of Leicester, both experts in the field, to carry out the in-depth research, resulting in Crime in prisons: where now and where next? They spoke to prisoners, prison governors, staff and multiple agencies over a period of six months and the study highlighted jails as profitable marketplaces, encouraging the widespread presence of drugs and allowing criminals to manage organised crime gangs from behind bars. 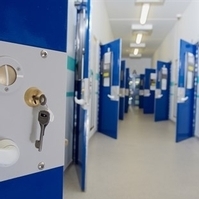 An information sharing pilot at HMP Dovegate, a Category Two prison in Staffordshire, resulted in not only identifying prison staff linked with organised crime, but also visitors who were trafficking drugs into the prison. One of the key recommendations locally is the sharing of information between police and the prisons service, including giving prisons access to the Police National Database. The recommendations from the work focused on five key areas, from ensuring crime doesn’t pay by taking money off criminals to sharing information and intelligence to making sure vulnerable inmates are protected from those who would use them to bring drugs into prisons. Vulnerable individuals are deliberately targeted, threatened and coerced into getting themselves recalled shortly after being released with the sole purpose of trafficking drugs and contraband. The wide-ranging recommendations, will be carried through by a working group of key agencies in the West Midlands in the coming months. Mr Ellis said: “The nature and scale of ongoing criminality in prisons presents a challenge not only from a policing and prisons management and operational perspective, but to society more broadly. “The police and criminal justice system seek to utilise prison as a disruption tool – to incapacitate offenders and to protect the community more widely. 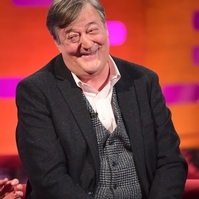 “There is evidence that, at present, this function is being undermined. 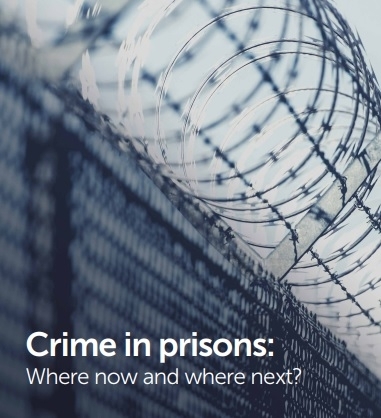 This report seeks to add empirical weight to the arguments about criminality in prison but also provides something of a starting point to consider how we can better create prison conditions that prevent and respond to crime in prisons when it occurs. “I am confident these simple, sensible solutions coupled with the dedication of prison staff and partner agencies can see real change in how we approach criminality in prisons. The value of collaborative working should not be underestimated”. West Midlands PCC David Jamieson said the report had assisted in identifying an approach to collectively tackle organised crime gangs which are embedded in our prison system. He added: “We can only tackle this issue by working together. Criminality in prisons impacts all agencies, the local community and it impacts on vulnerable people. “I encourage government to acknowledge the good work which has taken place in the West Midlands and recommend this approach is adopted nationally, to tackle criminality behind bars”. A total of 359,081 days of additional imprisonment were imposed as punishment in 2017 across prisons in England and Wales – the equivalent of 983 additional years of imprisonment – and represents a rise of almost a quarter from 2016. The number of adjudications where extra days could be imposed has increased by 47 per cent since 2010, according to the Howard League. The rise in the number of adjudications has come at a time when prisons across England and Wales are struggling to overcome problems caused by a growing prisoner population, chronic overcrowding and cuts of almost 40 per cent to frontline staffing. Violence and self-injury in prisons are at their highest levels in a decade. In addition, there have been eight suspected homicides during 2015 – the highest number in a calendar year since current recording practices began in 1978.